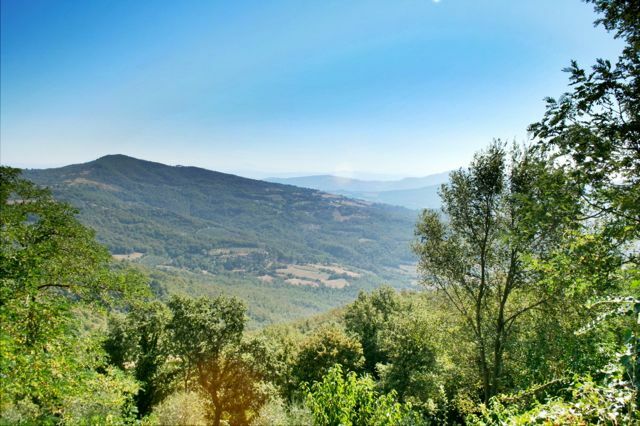 Many of our rental villas in the beautiful Niccone Valley on the Tuscany Umbria border, Italy. It’s a great place to have a holiday, there is a combination of stunning landscapes, ruined castles, vineyards and olive groves. Lake Trasimeno is to the south and can be admired from several ridges above the Valley, it’s within easy reach of most of the cities of Tuscany and Umbria and masks a great base to explore these regions. If you prefer to have a more relaxing holiday you can lounge by the pool, shop in local markets and eat superb food in the many trattorie and restaurants. Or you can walk along the many trails that criss-cross the hillsides and enjoy the views – look for my e-book, Circular Walks On The Tuscany Umbria Border by Martin Daykin on Amazon. Whatever your holiday plans, you are likely to want to come back for another visit. The Niccone Valley is a really special place, these photos give you an idea of what to expect.